The Parish of Evander Seconda between Johannesburg and Swaziland will be the new link Parish for St Mary’s Priory Church. 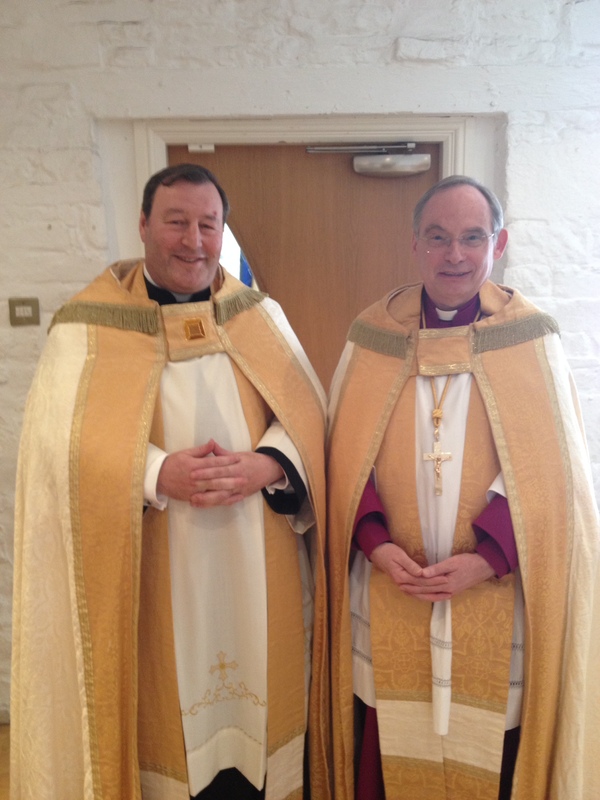 Canon Mark Soady welcoming the news writes, “I have had pleasure in writing to my twin parish Priest Fr Barnard (Archdeacon of Igwa West) to introduce me and the parish. 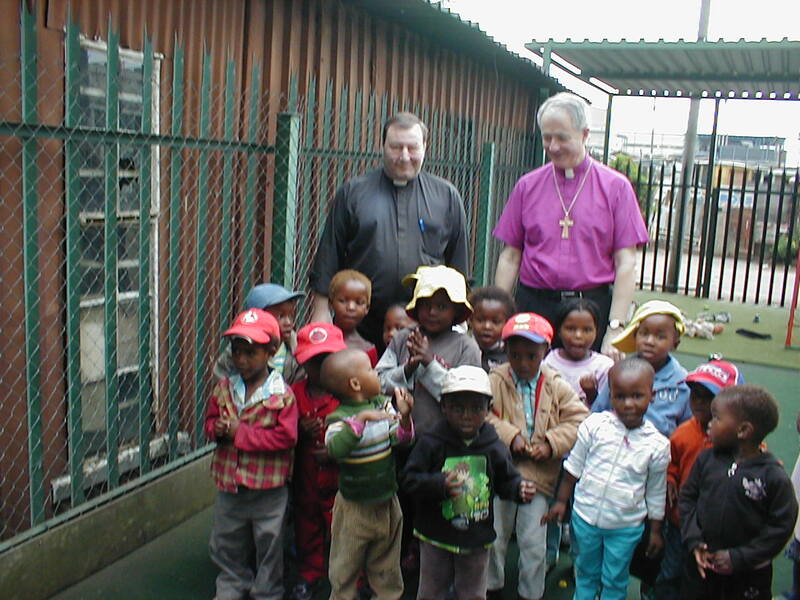 I have very fond memories of welcoming the previous two Bishop’s of the Highveld to the priory church and look forward to welcoming him soon. From my visit to the Highveld I know they have much they can teach us, I look forward to working with them”. Between 2002 -2013 St Mary’s Priory Church was linked to the Cathedral in the Highveld. 12noon – 4pm Welsh Blood Donor Clinic – give something of yourself as the Blessed Virgin did. The Ministry Team and Parish Officials will celebrate with Lunch at Kentchurch Court Fr. Mark said, “This is an opportunity for us to give thanks to those who like Mary said yes when they were called by God to a task – a task which the wider worshiping community and town get the benefit of”. THE PCC (Trustees) of the St Mary’s Abergavenny Parochial Charity have adopted the report below as their official account of the Charity’s activities in 2014. The trustees have pleasure in presenting their report and the financial statements of the charity for the year ending 31 December 2014. The organisational structure, administration details and governance of the charity are set out later in this report while the activities of the church form the first part. This year saw a return to the Priory’s monastic roots, with the formation of the Holywell Community, young people who follow the spirit of the Rule of St Benedict to serve both Church and the wider community. It is the first such monastic community to be established at St Mary’s since the dissolution of the monasteries by Henry VIII. The year was again a busy one for the Parish with regular and special services, distinguished visiting preachers, awards, new technology, concerts and visitors from all over the world who came to see the renowned medieval monuments. An estimated 5,000 youngsters from local schools and their teachers, friends and families visited St Mary’s for Christmas and Christingle services. There was also a visit by former Archbishop of Canterbury, the Rt Revd Dr Rowan Williams, during which members of the audience had the chance to quiz him on a wide range of subjects. The range of activities for St Mary’s with Christchurch can be split broadly into three categories – worship, prayer and pastoral care; mission and outreach; and fundraising, fellowship and hosting events. The Revd Canon Mark Soady continues to serve St Mary’s Priory Church and its daughter church Christchurch as Vicar; St Peter’s, Llanwenarth Citra, as Rector; and Holy Trinity Church, Abergavenny, as Priest-in-Charge. This year, he was also appointed Area Dean of Abergavenny Deanery and, in November, installed as a Canon of Newport Cathedral. 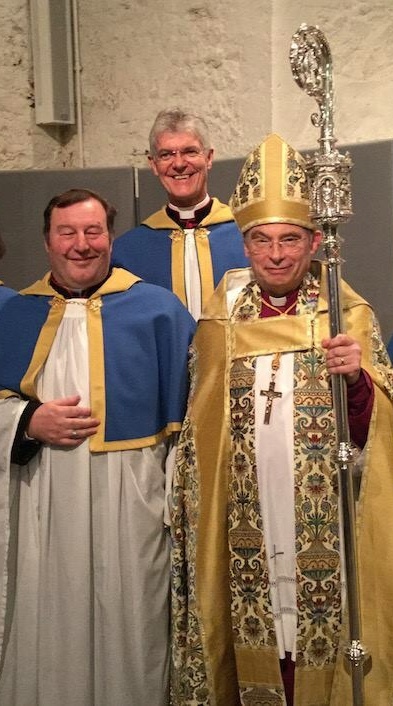 The major event of the year was the establishment of the Holywell Community, inaugurated by the Bishop of Monmouth, the Rt Revd Richard Pain, in September, with Canon Soady as the Prior. The Community has started gently with two members – Ami Pope and Sam Patterson. They work both in the Church and the wider community, running all-age worship, visiting schools, evangelising through a radio show (on the local Hospital radio), and volunteering at a centre for young people in the town and at the Little Footprints playgroup. The Community is based in what was previously the Curate’s House and already owned by the Parish. In November, the Parish and the Community welcomed the Revd Sarah Gillard-Faulkner as Sub-Prior and as Deacon of Abergavenny. In January, a Mass was said for Charles, King & Martyr, using the 1662 service – it was at St Mary’s that Charles is said to have held his last Court. In December, there were more joyous occasions as local schools used the church for their Christingle and Christmas services – over 5,000 youngsters, their families and teachers visiting the church in the space of a week. Worship and prayer, learning about the Gospel, and developing their knowledge and trust in Jesus. Acts of worship were carried out on almost every day of the year, and pastoral care continued through, in particular, the visiting of, and on occasions taking Communion to, parishioners who through sickness or age were unable to come to church. The average attendance at the main Services at the churches was 150, and the number reported to be recorded on the Electoral Roll for both churches on 31 December 2014 was 260 (2013: 266). 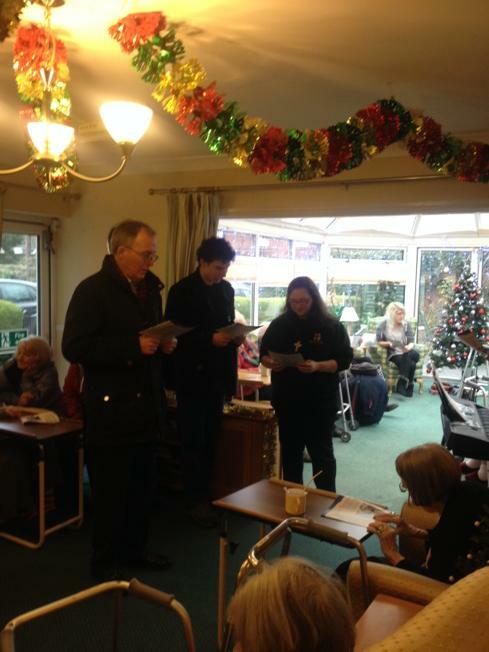 Eucharistic services were held at care and nursing homes and retirement complexes in the town throughout the year, as well as carol singing in the town centre, at the care homes and in pubs. 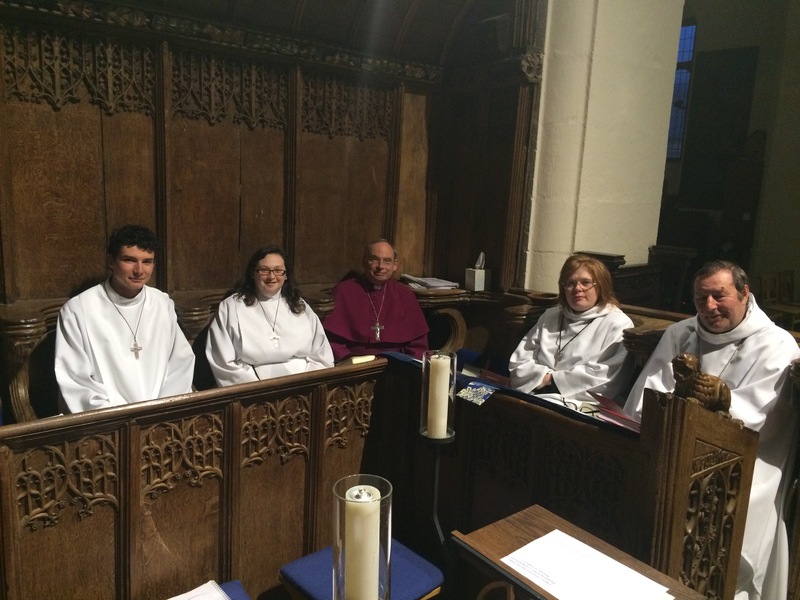 Ecumenically, the parish shared services of Compline and Stations of the Cross with the Roman Catholic Church of Our Lady and St Michael’s, Abergavenny, during Lent, as well as participating fully in the Abergavenny Council of Churches. The Roman Catholic Archbishop of Cardiff, the Rt Revd George Stack, preached at the Advent Carol Service at the end of November. Much of the parishes’ mission and outreach work was organised by the Abergavenny Anglican Churches Together group (AACT), established during 2012 and with members drawn from all four churches in Canon Soady’s incumbency and co-ordinated through the Joint Warden’s Meetings. St Mary’s Priory Choir went on their annual Singing Week in July, providing the music at Evensong in Lichfield Cathedral, Malvern Priory and St Mary Redcliffe, Bristol. In April, our Director of Music Tim Pratt was awarded the Archbishop of Wales Award for Church Music. Mr Pratt wrote the Stabat Mater which the choir sang on Good Friday. They also sang with Westminster College Choir during their visit in May. The year was rounded off by the recording of a CD of music for Remembrance. 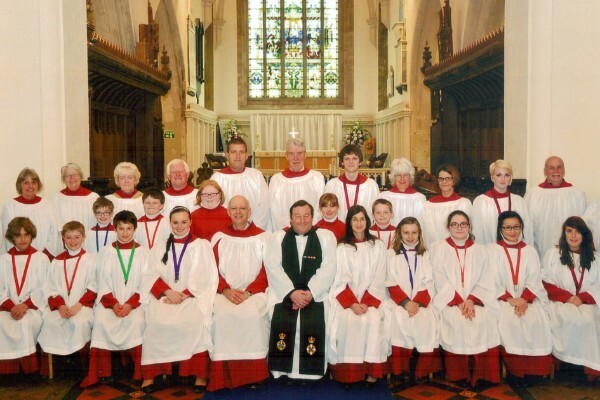 The choir continued to provide grants for Choral Scholars, providing training opportunities for young people of sixth form age, who might otherwise not either be involved in choral singing or come to church. St Mary’s was visited by people from all over the world and from nearer home, with many groups such as U3A, local history organisations, Mothers Union and other church groups booking tours to learn about the collection of medieval monuments in the church – said to be one of the finest in the country – and to sit quietly in a church which has been a place of prayer for nearly 1,000 years. 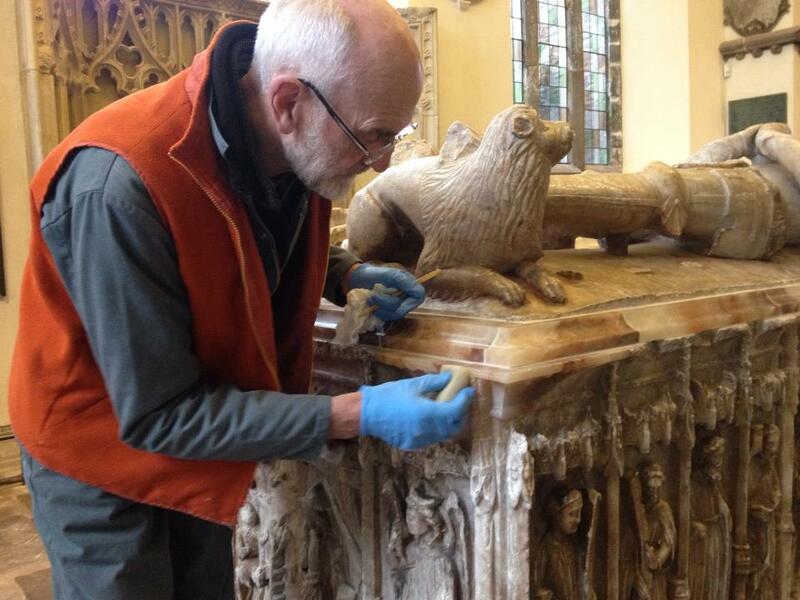 Work on the memorial to the late Dean of Monmouth, the Very Revd Jeremy Winston, who had been Vicar of Abergavenny for 18 years, progressed slowly. In January, the window designer Helen Whittaker was able to carry out detailed measurements, while in November the Diocesan Advisory Committee agreed in principle to moving the world-renowned Jesse figure and to the window itself. The church bells, described as the finest ring of 10 bells in Christendom, were rung each Sunday, at funerals and weddings, and on special occasions. They were also rung by a number of visiting groups of ringers. Elvis impersonator Keith Davies performing for the town mayor’s charities. The Priory Centre Hall and Christchurch Hall continued to be resources for the community. As well as hosting church fundraising events and after-service fellowship, Christchurch Hall was used by an art group for vulnerable youngsters and as part of the North Street Open Gardens Scheme. The congregation at Christchurch is encouraging the local community to make more use of the Hall, including running a coffee morning each month. The Priory Centre provided the venue for various fundraising activities and celebrations, including St Mary’s Patronal Festival lunch and the parish’s Christmas lunch. We also held a race night, coffee mornings and provided refreshments during Abergavenny Food Festival. 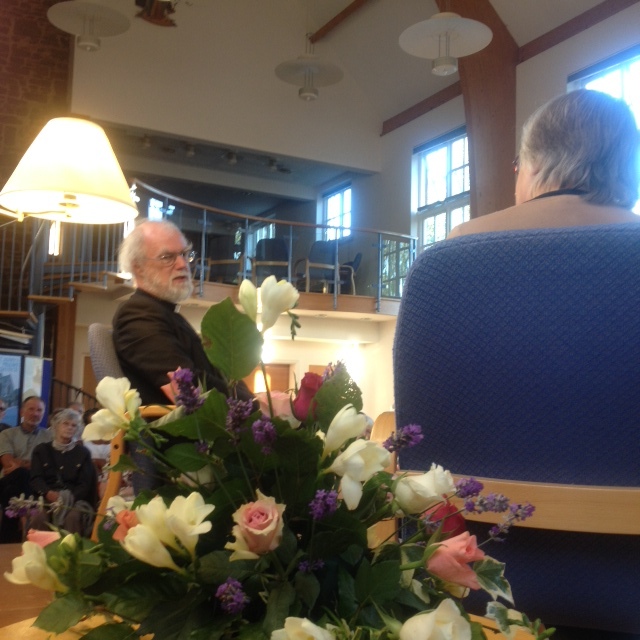 The major event of the year was An Evening with Dr Rowan Williams, when he was interviewed about his life and the audience had a chance to ask questions ranging from ‘which book would you like to record for listening books’ to Sharia Law and whether he preferred cheese or chocolate. 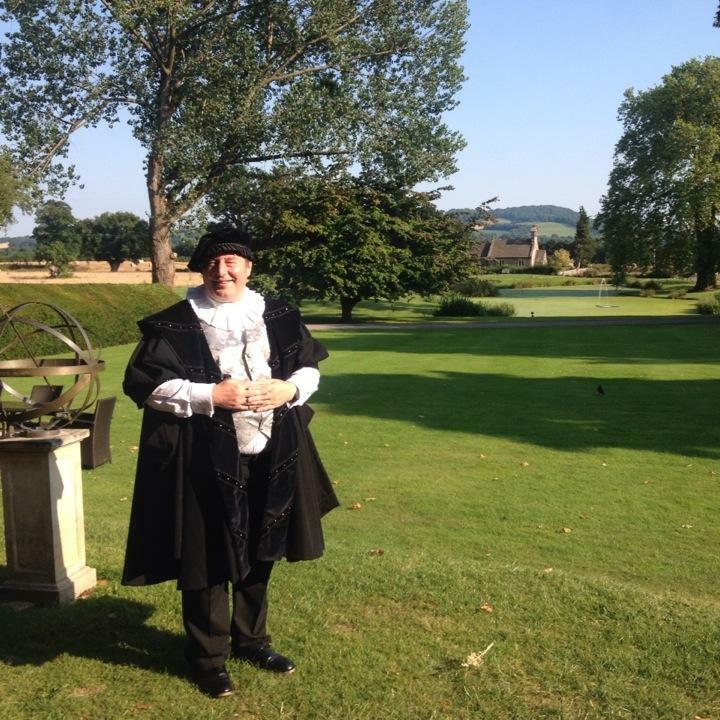 Also in July, a fundraising dinner for the Lewis Chapel development was held at Llansantffraed Court Hotel, with guest speaker Sir Diarmaid MacCulloch, who spoke eloquently about Dr Lewis, the first principal of Jesus College, Oxford, whose tomb gives the Chapel its name, and about the layers of history within the church. 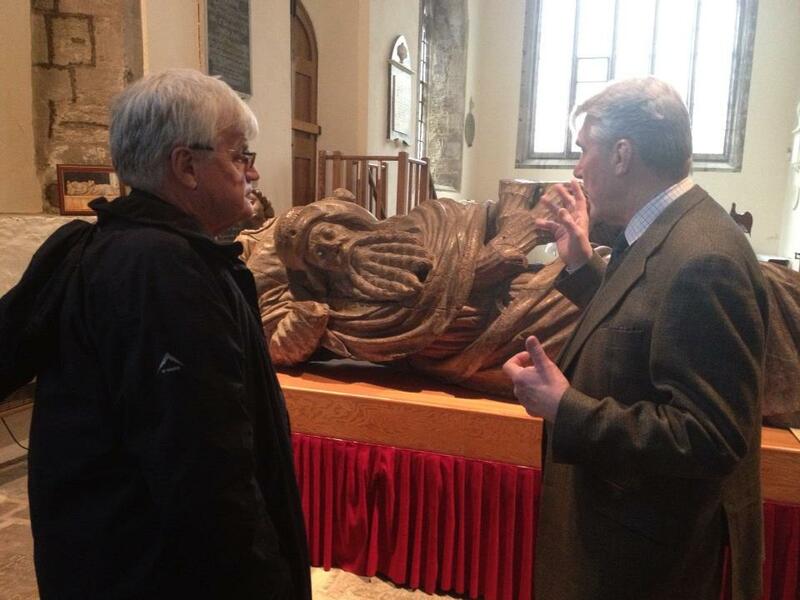 Part of that history was brought to life by Canon Soady dressing in a copy of robes depicted on Dr Lewis’ tomb. Fr Mark in copies of robes depicted in Dr Lewis’ tomb. History also featured in the recording of Y Llys, for S4C, a programme about the Wars of the Roses and the rise of the House of Tudor, part of which was recorded in St Mary’s. Looking at the past in a new way was made possible with the installation of new technology at St Mary’s where visitors with Smartphones or iPads (or using ones which are available to borrow) can scan codes which will reveal the history of the church, its monuments, and explain how the Church works today. St Mary’s Priory Church and its daughter church, Christchurch, is in the Parish of Abergavenny, in the Deanery of Abergavenny and the Diocese of Monmouth in the Church of Wales. The Incumbent is the Reverend Canon Mark Soady. 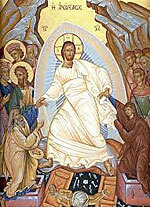 From September, he has been assisted by two members of the Holywell Monastic Community and, since November, by Deacon the Revd Sarah Gillard-Faulkner. The worship in the parish has been made possible through the on-going contribution of our Licensed Lay Ministers Jeff Pearse, Gaynor Parfitt and David Meredith; retired ministers Canon Andrew Willie, the Revd Frances Buxton and the Revd Malcolm Lane In June, the parish bid farewell to Ordinand Philip Godsell the week before his ordination to the Deaconate and his appointment to Cyncoed Rectorial Benefice. We review our aims, objectives and activities each year, looking at what we have achieved and the outcomes of our work in the previous twelve months. The review looks at the success of each key activity and benefits of activities in a wide variety of cultural areas. The review also helps us ensure our aims, objectives and activities remained focussed on our stated objectives. Supporting the work of other charities through, among others, the Mothers Union and Mission and Outreach Committee. Monies were raised by freewill offertory, fund raising activities and specific appeals. These were used to support the work and administration of the churches and wider mission. Volunteers, who helped at each act of worship to support the clergy, have donated their time. The churches will continue with their acts of worship and pastoral care during 2015 and will continue actively to try to increase its Electoral Roll, through its mission work in the community. The activities of the committees and groups within the churches continued during the year. The monies raised contributed to the general income of the churches. These activities are expected to continue during 2015. All those involved in group activities and who assist with the main functions of the churches are volunteers who have freely donated their time, energy and skills. In order to continue to foster increasing unity between the different Churches and congregations within Canon Soady’s Incumbency, regular meetings of the Wardens from all four Churches were held. The Representative Body of the Church in Wales holds the land and property of the Church in Wales, including St Mary’s Priory Church, Christchurch and other church buildings, and including the Garden of Rest at St Mary’s, and their contents. The Representative Body is an exempt Charity and was set up under Section 13(2) of the Welsh Churches Act 1914. It acts on behalf of the Province in paying the stipends of the full time clergy, and administers the Church in Wales scheme of covenanted and gift aid giving recovering tax on behalf of the parishes. The Parochial Church Council (PCC) is not a body corporate, its composition, procedure and powers being regulated by the Constitution of the Church in Wales as amended from time to time by its Governing Body set up under Section 13(1) of the Welsh Church Act 1914. Elections are held at an Annual Vestry Meeting which must take place on or before 30th April each year. All persons whose names are entered on the Electoral Roll are entitled to vote and stand for election. Before assuming office, every member of the PCC publicly makes a declaration that he or she will be bound by the Constitution. 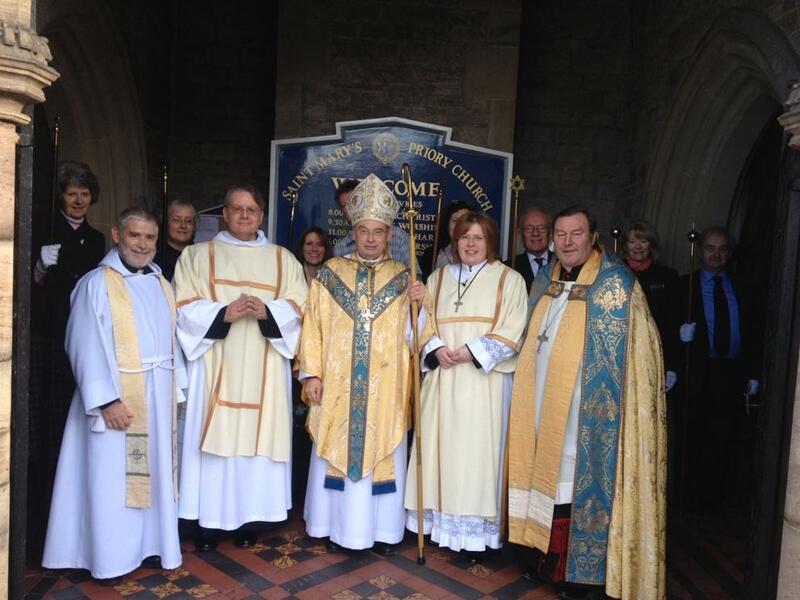 The Members and Officers of the PCC, including the Incumbent, on appointment become Trustees of the “Parish of Abergavenny Parochial Church Council Charity Trust”. Commercial operations undertaken in the Priory Centre and the Tithe Barn are administered by The St Mary’s Priory House Company Limited, a Service Company registered with Companies House and in which the Priory Trustees, on behalf of the PCC and the “Parish of Abergavenny Parochial Church Council Charity Trust” hold 51% of the shares. The remaining 49% are held by the “St Mary’s Priory Development Trust” (Charity No 107744) a separate but related Charity set up by the Priory Trustees in 1999. The PCC has conducted it own review of the major risks to which the Charity is exposed and systems have been established to mitigate those risks. The risks facing the Charity include the state of repair of the Churches and the financial requirements to meet its stated activities, including payment of its Annual Parish Share, bearing in mind the fall in the numbers of regular worshippers and the reduction in regular giving. The structure of the Churches is continually monitored by the Fabric committee and the Church architect, and the finances are controlled by careful budgeting and encouragement and appeals to the worshippers and visitors. In addition to the election of members, the Officers, i.e. 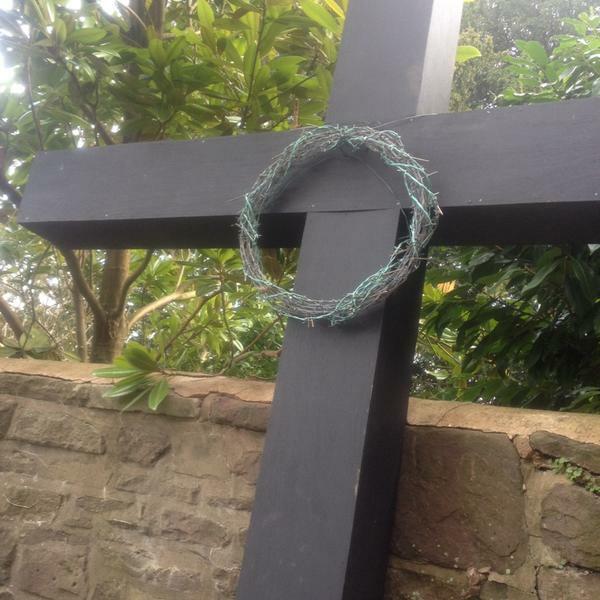 The People’s Warden, the Deputy People’s Warden (St Mary’s) and People’s Sub-Warden (Christchurch) are elected at the annual Easter Vestry; the Vicar appoints the Vicar’s Warden, Vicar’s Deputy Warden (St Mary’s) and Vicar’s Sub-Warden (Christchurch) at the same meeting. New representatives are told of their responsibilities and of the issues facing the Churches by existing representatives, and receive such additional training as required. Other Officers, including the Secretary, Treasurer and Safeguarding Officer are appointed at the first meeting of the PCC after the Vestry Meeting. As indicated, members of the PCC also serve as representatives on the Deanery and Diocesan Conferences and the Governing Body of the Church in Wales. St Mary’s and Christchurch are active members of Abergavenny Council of Churches and volunteers help run the Christian Aid Fortnight activities in the town, organise Lenten study groups, and stage a town centre carol service. Regular inspections and maintenance of both Churches, plus the other buildings and the grounds, were carried out during the year as required. The report and recommendations following the Quniquennial Inspection of St Mary’s, undertaken during November and December 2013, were received in February 2014 . They showed that in order to maintain the integrity and long term future of the Grade 1 listed building a number of comparatively small repairs are required within the next 18 months with an approximate total cost of £50,000. Further major repairs to be completed within the next five years include floor repairs throughout much of the main body of the church in order to maintain the safety of both the congregation and the many visitors. Also recommended are a series of repairs to the Lewis Chapel, and its roof, many of which will be achieved in association with the proposed installation of the new window in memory of the Very Reverend Jeremy Winston and the relocation of the Jesse Effigy. At the same time, the Architects undertook an Access Audit of the buildings and this has already resulted in a number of actions being taken to improve safety and accessibility for everyone using the Church and its associated facilities. The level of direct voluntary contributions at each act of worship, excluding tax reclaimed through Gift Aid, amounted to £79,370 (2013 £79,490). Compared to the reductions in recent years this has been a welcome improvement and reflected increased individual giving from the diminishing congregation. Other unrestricted general income including from fund raising amounted to £82,950 (2013 :£71,638), including a number of generous donations. However, no Legacies were received during the year (2013 : £37,171). 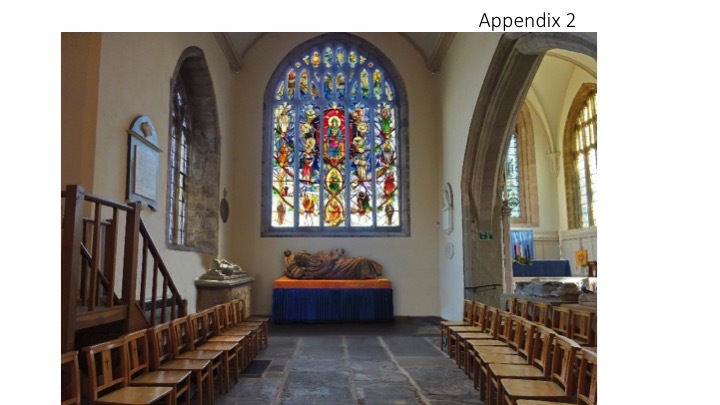 Fund raising towards the cost of erecting the new window in St Mary’s in memory of our previous incumbent, the Very Reverend Jeremy Winston, was put in abeyance while the necessary approvals were progresses and only £1,753 was received during the year.. The level of unrestricted expenditure amounted to £215,332 (2013 : £179,204) with restricted expenditure on further repairs to St Mary’s Tower, and costs associated with the Lewis Chapel amounting to £22,502 (2013 : £13,463). The Parish Share payable to the Diocese during the year was £87,319 (2013 : £90,705) : however, £28,800 remained outstanding at the end of the year (2013 : £7,000). During 2014 considerable expenditure was incurred in undertaking major repairs and enhancements to the Grade 1 Listed St Mary’s Priory to maintain it as a welcoming and accessible facility for the use of the Church and the local and wider communities. Much of this work, which included installing a new, energy efficient, lighting system and new sound systems for both the organ and the loudspeakers was funded from Legacies received in previous years. The net assets of the Charity at 31 December 2014 amounted to £256,915 (2013 : £330,878), including freehold properties valued at £362,641 (2013: the same). The principal liability remains the mortgage on the Curates House of £195,000, now used by the Holywell Community. The significant decrease in net assets during 2014 is due to the outstanding payments on the Parish Share and the additional expenditure on major repairs and enhancements. The reserves policy of the Parochial Church Council (PCC) recognises the need to hold reserves to ensure funds are available to provide continuing mission should the income levels fall. Reserves are also required to meet the future maintenance programme for the Churches and Church buildings. A minimum level of reserves needs to be retained to ensure the PCC can meet its legal commitments should the Charity be unable to continue due to a lack of a sustainable income stream. The Officers of the PCC have established a policy whereby the unrestricted funds not designated for specific use by the PCC or invested in tangible fixed assets, i.e. free reserves, held by the Charity should ideally be between three and six months of the resources expended in general funds. The Charity is dependent on donations, grants and investment income. The current economic climate remains uncertain and may continue to have a negative impact on future income streams. The Parochial Church Council (PCC), through its finance committee, has considered the most appropriate policy for investing funds and agreed to achieve the best available rate from our Bankers, within the constraint of maintaining rapid access to funds in the event of a call on them. Lloyds Bank, 54 Cross Street, Abergavenny, Monmouthshire NP7 5HB, and, HSBC Bank plc, 2 Frogmore Street, Abergavenny, NP7 5AF. The full report submitted to the Charity Commissioners includes a copy of the Parish Accounts fro 2014. On the day HM The Queen pricked Lt Col Andrew Tuggey DL as High Sheriff of Gwent, Colonel Tuggey appointed Canon Mark Soady as his Chaplain. Lt Col Andrew Tuggey DL is a former Commanding Officer of the RoyalMons RE(M). He is currently Chief Executive & Secretary of the UK Branch of the Commonwealth Parliamentary Association. Whilst the duties of the role have evolved over time, supporting the Crown and the judiciary remain central elements of the role today. In addition, High Sheriffs actively lend support and encouragement to crime prevention agencies, the emergency services and to the voluntary sector. In recent years High Sheriffs in many parts of England and Wales have been particularly active in encouraging crime reduction initiatives, especially amongst young people. 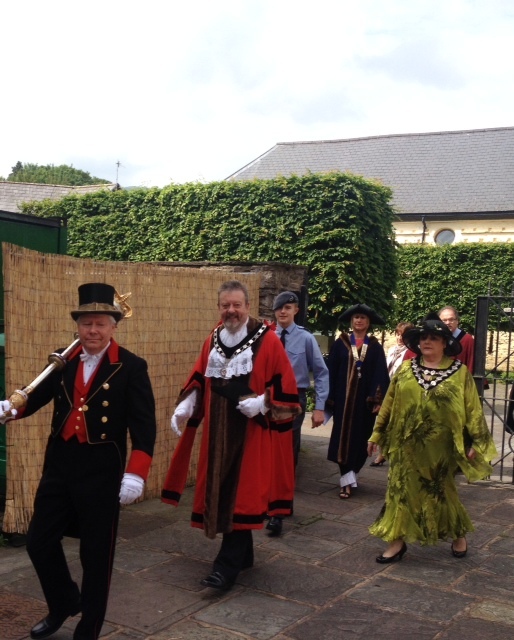 Many High Sheriffs also assist Community Foundations and local charities working with vulnerable and other people both in endorsing and helping to raise the profile of their valuable work. The nomination of sheriffs in the counties of Wales was first vested by statute in the Council of Wales and the Marches and the Welsh justices under Henry VIII. With the abolition of the Council in 1689, the power of nomination was transferred to the justices of the Court of Great Sessions in Wales. When this court was abolished in 1830, its rights were in turn transferred to the courts of King’s Bench, Exchequer, and Commons Pleas. Finally, by an Act of Parliament of 1845, the nomination and appointment of sheriffs in Wales was made identical to that in England: That is the appointment is made by HM The Queen pricking the names on a list will being attended by her Privy Council. Concerts at the Priory this weekend. We are pleased to welcome back two old favourites this weekend. Fr Mark is to be admitted as a Member Brother of St John. HM The Queen has been pleased to sanction Canon Mark Soady’s admission as Member (Brother) of the Most Venerable Order of the Hospital of St John of Jerusalem. The exact date when the Order of the Hospital of St John of Jerusalem came in to being is unknown, but Benedictine monks established a hospice ( a place of care) for Christian Pilgrims to Jerusalem about 1080, around the same time as St Mary’s Priory was being created here in Abergavenny. The Order was driven out of Jerusalem 100 years later in 1187. 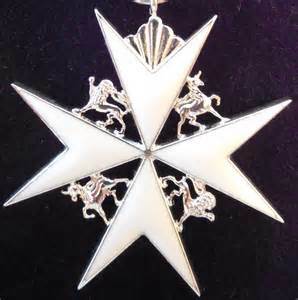 Queen Victoria recognised and incorporated the modern Order of St John in 1888.The Jerusalem Eye Hospital having been founded in 1882, St John’s Ambulance Brigade & Association in 1877. The Objects of the Order are twofold: Pro Fide & Pro Utilitate Hominum. The first great principle of the Order is the encouragement of all that makes for the spiritual and moral strengthening of mankind. The Order is also called to promote and encourage all work of humanity and charity for the relief of persons in sickness,distress, suffering or danger, without distinction of race, class or creed. Fr Mark will be Installed at Llandaff Cathedral on Saturday, June 20th.